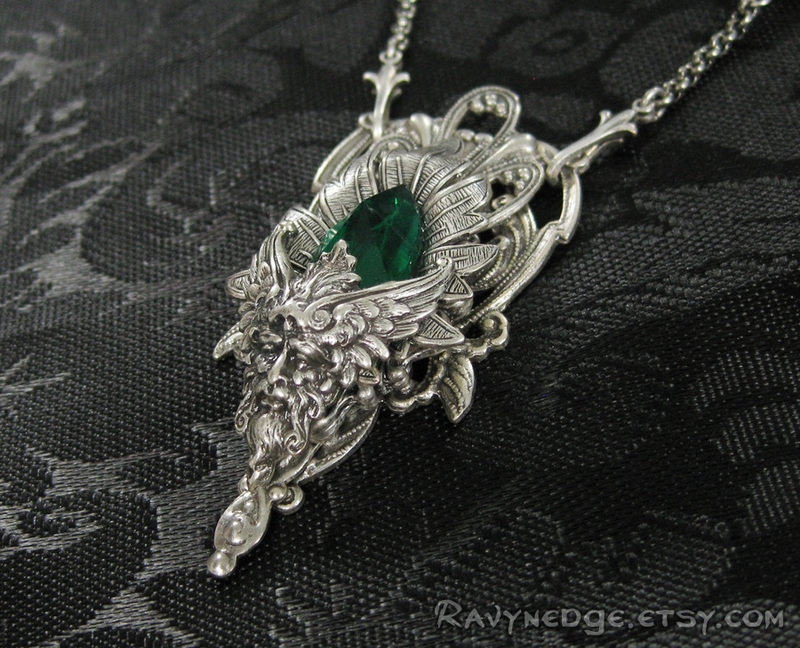 Verdant Necklace - Emerald Crystal and Silver Filigree Necklace by RavynEdge. 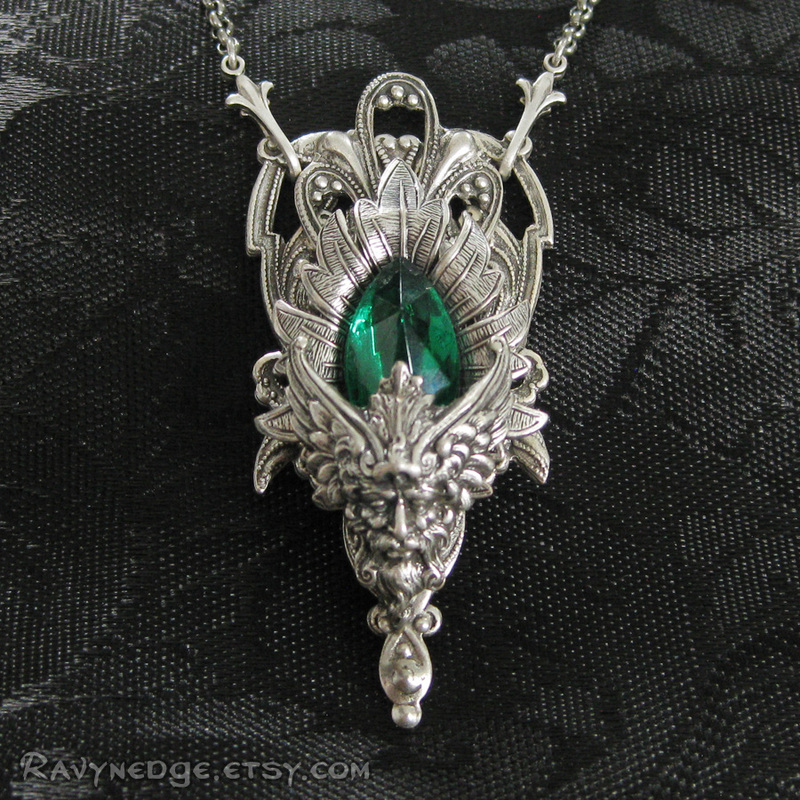 "Verdant" is a glamorous necklace I made with an unusual cut vintage emerald green marquise crystal encased in layers of lavish sterling silver plated brass filigree. 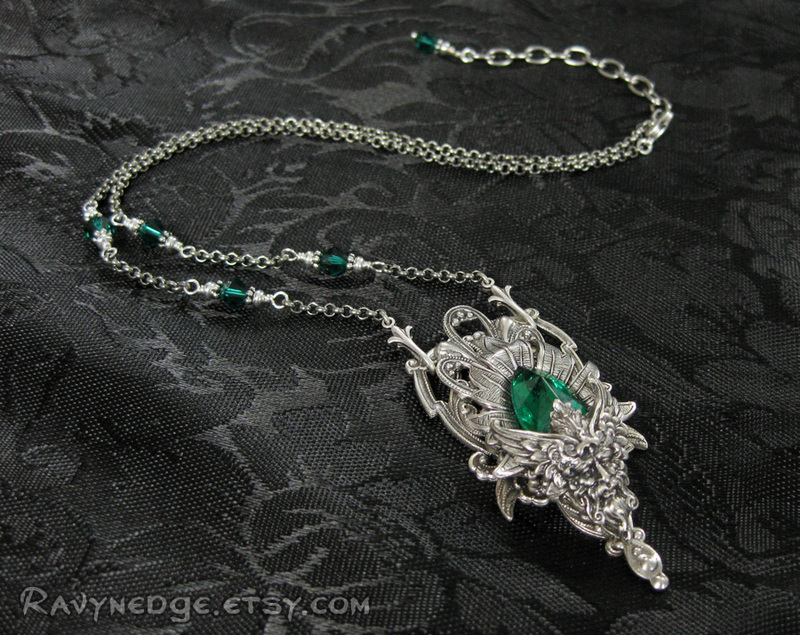 Beads of emerald Swarovski crystal and metal accent the elegant sterling silver plated brass rolo chain assembly to complete this amazing necklace. 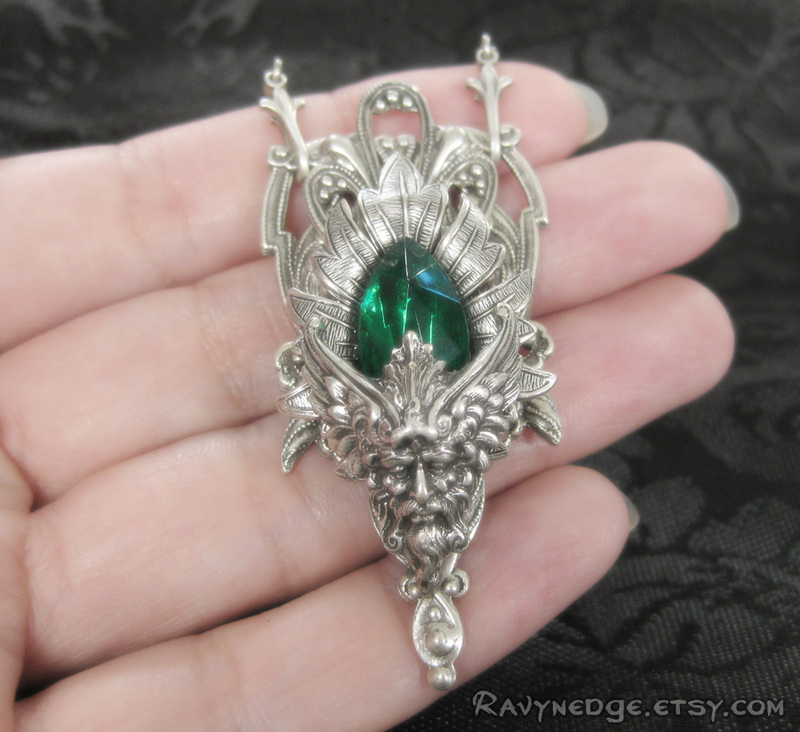 The focal measures approximately 2.3 inches (5.7cm) tall and 1.1 inches (2.7cm) wide. 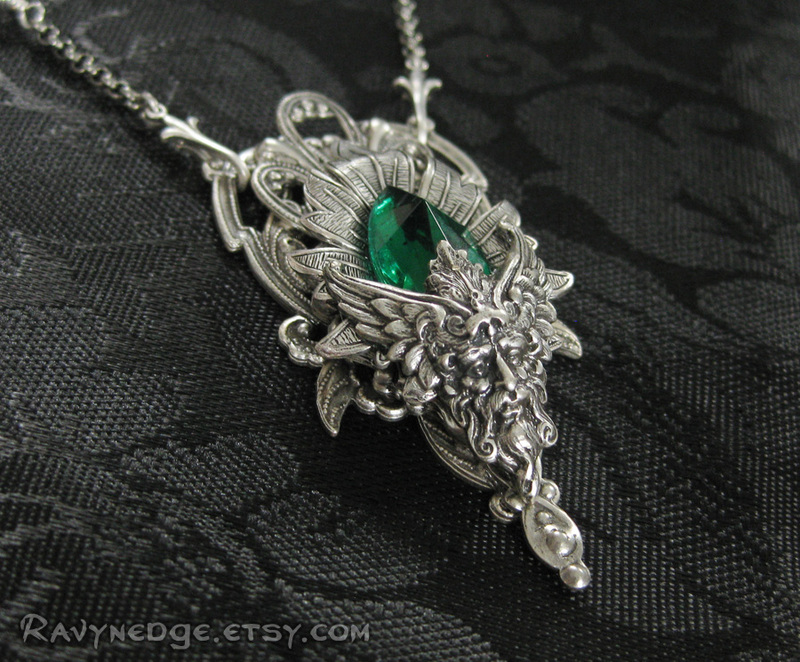 The necklace length is adjustable from 16 to 18 inches (40.6 to 45.7cm) and closes with a lobster clasp.